Following the announcement of Eddie Cummings vs. Renato Canuto, a second superfight has been added to KASAI Pro 2 as California’s Geo Martinez faces New York’s Nicky Ryan in a battle of East Coast versus West Coast. The duo will square off in a 140lb submission-only bout at the April 14 event in Brooklyn, New York. A judges’ decision will determine the victor if there is no clear outcome in regular time. “We’re thrilled to present this intriguing matchup that the jiu-jitsu community has been clamoring for,” KASAI President Rolles Gracie said. Martinez, 31, is a two-time ADCC veteran and a three-time EBI champion, having won tournaments at both 145lb and 135lb. 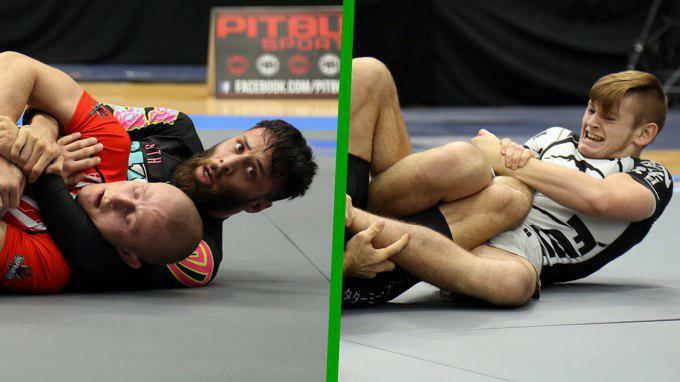 An accomplished no-gi black belt under famed instructor Eddie Bravo of 10th Planet, “Freakazoid” has won 77 percent of his competitive wins by way of submission. Ryan—who won FloGrappling’s 2017 Juvenile of the Year award—steps onto KASAI’s mat at just 16 years old. A purple belt under iconic instructor John Danaher at the Renzo Gracie Academy, Ryan holds victories over numerous black belts including Martinez’s teammate Marvin Castelle. He also holds the record for being the youngest ADCC competitor in history, having competed at 66kg in last year’s event. Competitors confirmed for the challenge include Craig Jones, DJ Jackson, Richie “Boogeyman” Martinez, Matheus Diniz, Dante Leon, and Nick Calvanese, the latter of whom won KASAI’s middleweight qualifier on March 3.